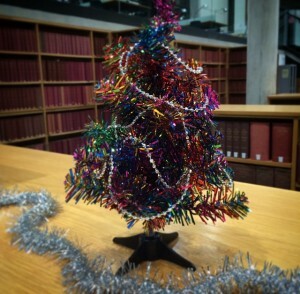 The library will close for Christmas at 5pm on Thursday 21st December, and reopen at 9am on Tuesday 2nd January. For those readers who have borrowing privileges, any books checked out or renewed from Wednesday 20th December will be due back on 2nd January. We’d like to wish all our readers a very Merry Christmas and a Happy New Year! See you all in 2018!